Get more range of motion in your bench press, curls, and lying rows! The middle portion of this bar is curved outwards to keep it away from your body for longer. Bench Press - For bench presses this means you can go lower. 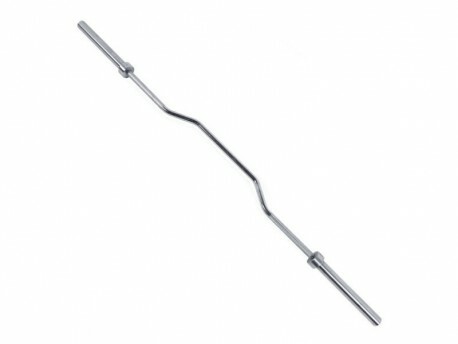 For curls you can let your arms hang fully extended at the bottom without bending forward or have the bar hit your hips. Especially for decline presses this helps a lot to keep the bar from hitting your abs when you could easily go lower. Lying Rows - Lie face down on the bench with the bar underneath the bench, and you can pull it all the way up without the bar hitting the bench, or at least a lot more than a straight bar. Bent-Over Rows - Pull even higher without hitting your waist, as shown in the video. Standing Curls - Now you can let your arms fully extend at the bottom without having to bend over or hit your hips. 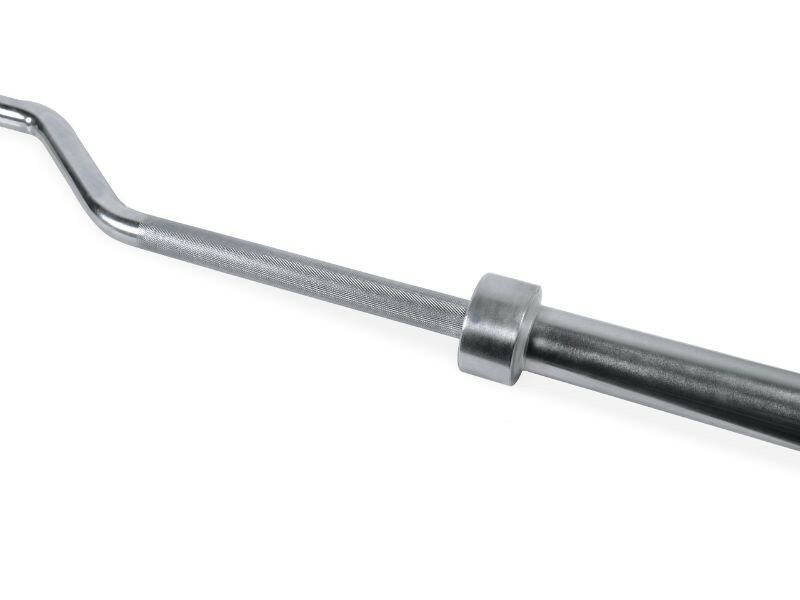 The knurling extends all the way to the inside collars, to accommodate an ultra-wide grip. The sleeves do rotate, and it fits on any olympic width rack just like any normal 7ft bar.